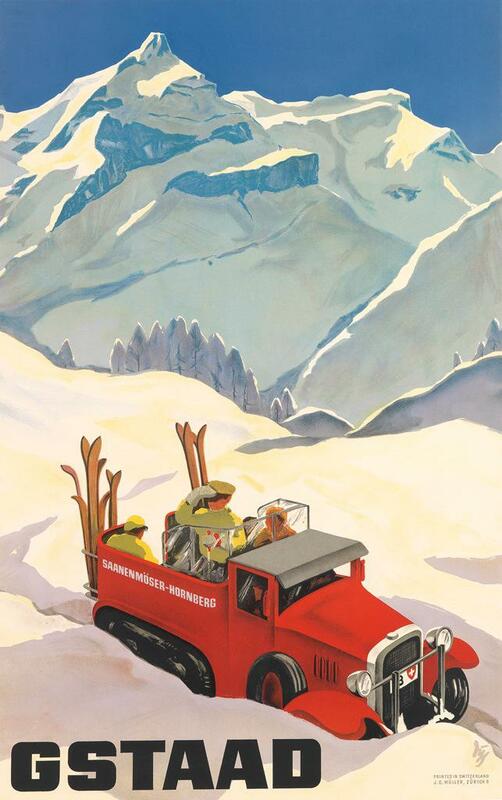 History of posters: Modernist skiing advertisements for 1930s Europe. 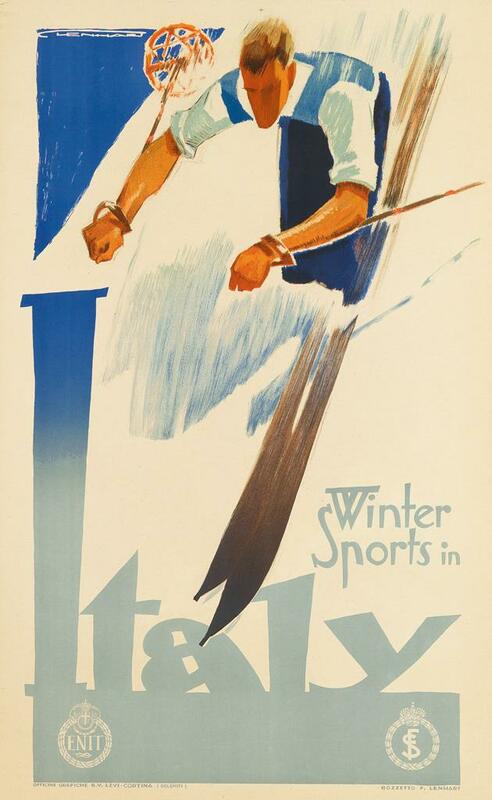 These graphic posters for ski tourism in 1930s Switzerland, Germany, Austria, and Italy enticed travelers to come take part in what was then a fairly new recreational sport. While people had been cross-country skiing for centuries, especially in the Scandinavian countries, and some dedicated souls had pioneered alpine skiing in the late 19th and early 20th centuries, it wasn’t until the invention of ski lifts and tow ropes in the 1930s that casual alpine skiing became possible. The sport was first added to the slate of Olympic competitions in 1936. The style of these tourism posters reflects the minimalism then in favor among European graphic artists. Some of these works, with their interest in representing the speed and rush of skiing, are reminiscent of the motion-obsessed Italian Futurism of the 1910s and 1920s. 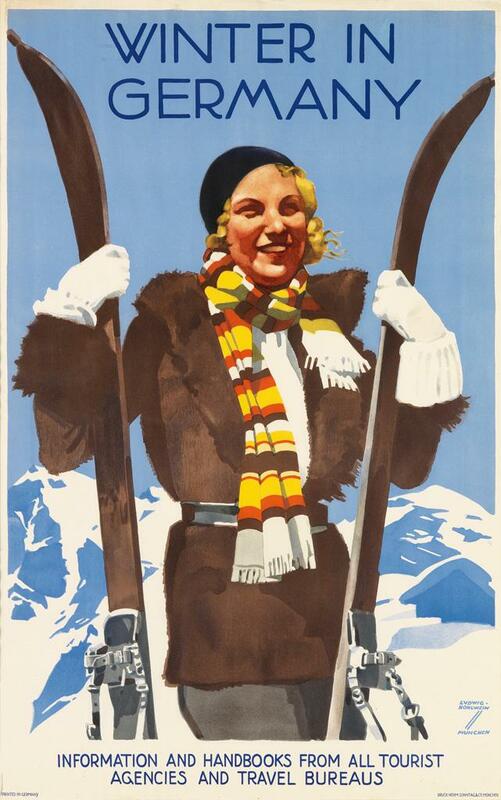 Some, advertising ski tourism in Germany, evoke uneasy echoes of the connection between outdoor leisure pursuits and the ideals of the Third Reich. Courtesy of Swann Auction Galleries. A 1934 poster by Alex Diggelman, a Swiss athlete and graphic artist who won three medals at the now-defunct Olympic Art Competitions held in 1936 and 1948, and went on to design Red Cross posters during World War II. 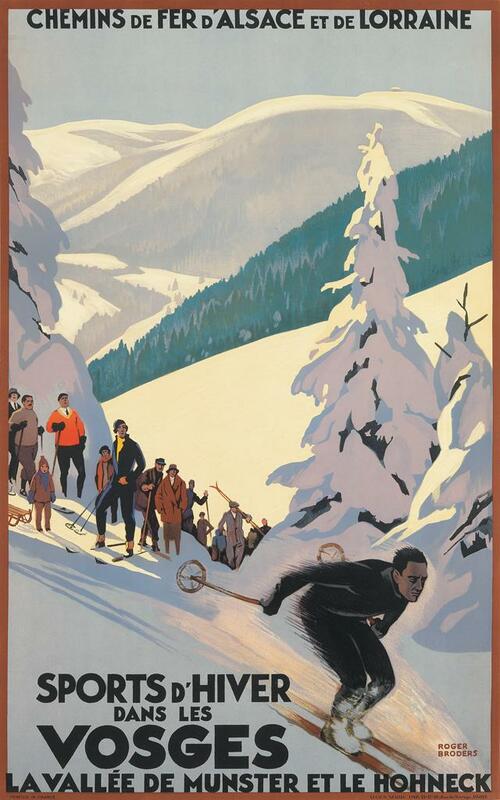 A dramatic 1930 poster by French illustrator Roger Broders, advertising skiing in northeast France. 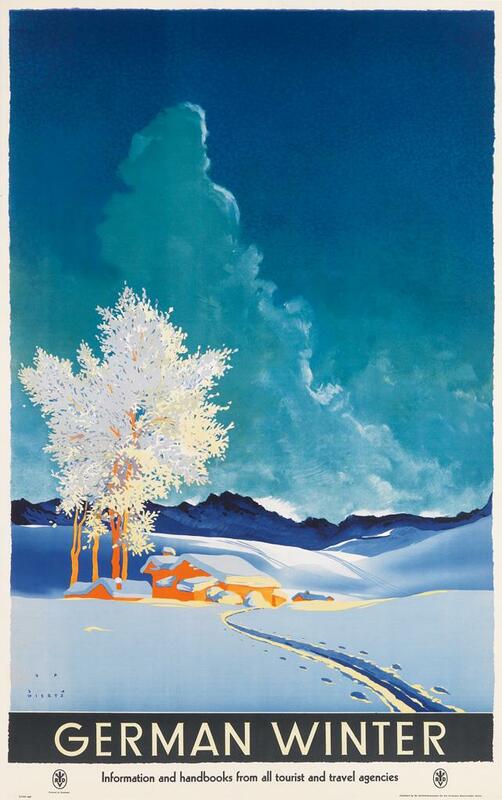 An even more dashing circa 1930 design, commissioned by the Italian national tourism agency and created by Tyrolean graphic designer Franz J. Lenhart. Viennese graphic artist and painter Paul Kirnig’s minimalist mid-’30s poster was one of a few he executed for the Austrian Tourist Board. 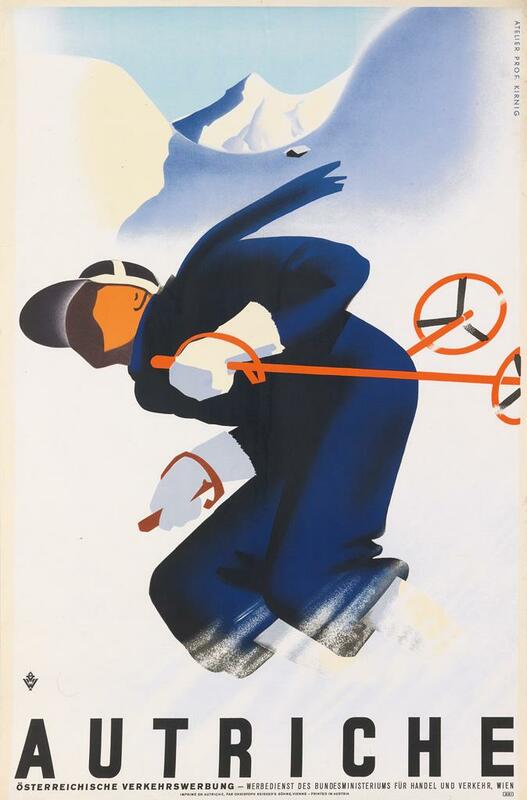 A poster featuring a stylish skier with Aryan looks, designed in 1935 by German artist Ludwig Hohlwein (who was producing posters for the Nazi regime around this time). Poster for English-speaking tourism markets, by Jupp Wiertz, who painted posters of rural Germany in an idealized mode that suited Nazi concepts of the folksy countryside.